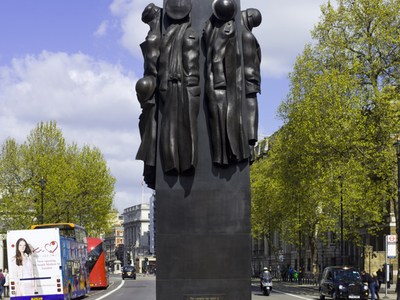 The Monument to the Women of World War II is a British national war memorial situated on Whitehall in London, to the north of The Cenotaph. It was sculpted by John W. Mills, unveiled by Queen Elizabeth II and dedicated by Baroness Boothroyd in July 2005. Fundraising was conducted by a charitable trust set up for the purpose of establishing a memorial, with the National Heritage Memorial Fund donating towards the project. Baroness Boothroyd also raised money on the game show Who Wants to Be a Millionaire. Here's the our members favorite photos of "Monuments near City of Westminster". 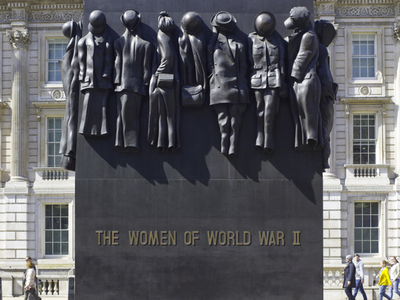 Upload your photo of Monument to the Women of World War II!